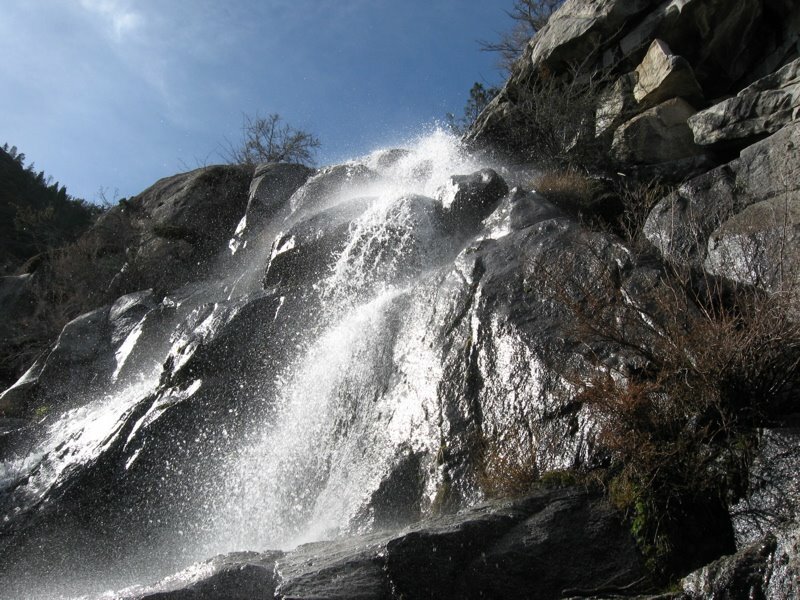 Hetch Hetchy has been called the sister valley to Yosemite, and it's no wonder why. Though I've been to Yosemite National Park many times, I've never visited this valley located on the north side of the park. With its tremendous granite edifices, domes and roaring waterfalls, it is indeed a sister to the magnificent Yosemite Valley. After the earthquake of 1906, water supplies in San Francisco were pushed to the limit. 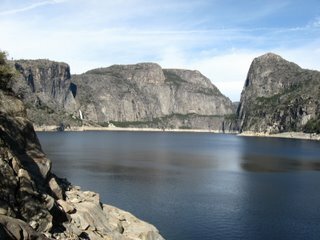 A solution was proposed to dam Hetch Hetchy for a reservoir. The dam had many opponents, including John Muir. The battle to save Hetch Hetchy was lost, and the valley dammed in 1923. Not only does it now provide drinking water for San Francisco, but it also provides renewable energy in the form of hydro-electric power. I hiked along the edge of the reservoir to Tueeulala Falls. The sun sparkled in the cascade of water. 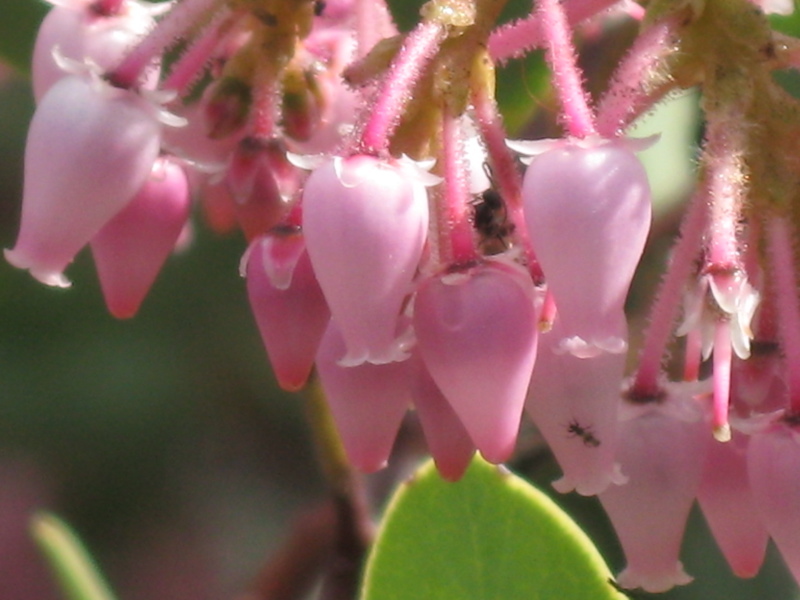 I sat out on a boulder among blooming manzanita bushes, and an Anna's hummingbird came by, its scarlet head and green iridescent body gleaming in the sun. Plant border bugs, with their black bodies and striking orange lines, climbed all over the ground, hunting for leaf matter to eat.